Recycle Factory Train Set | Make Your Own Train Set! 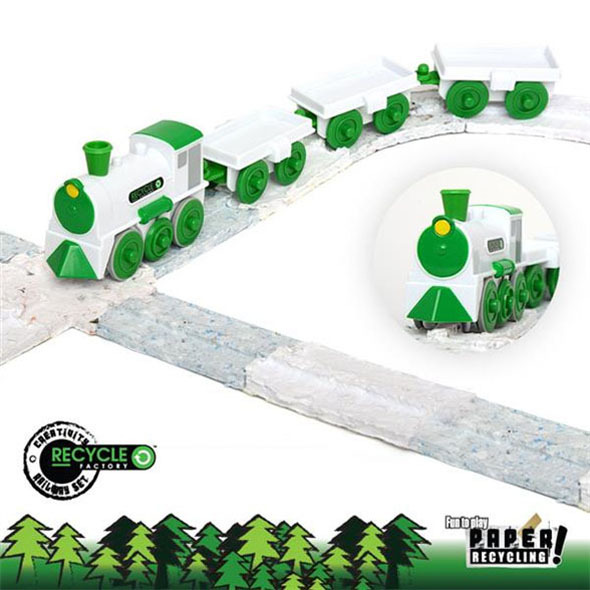 The Recycle Factory Train Set is a thoroughly unique toy allows you to make your own train set! 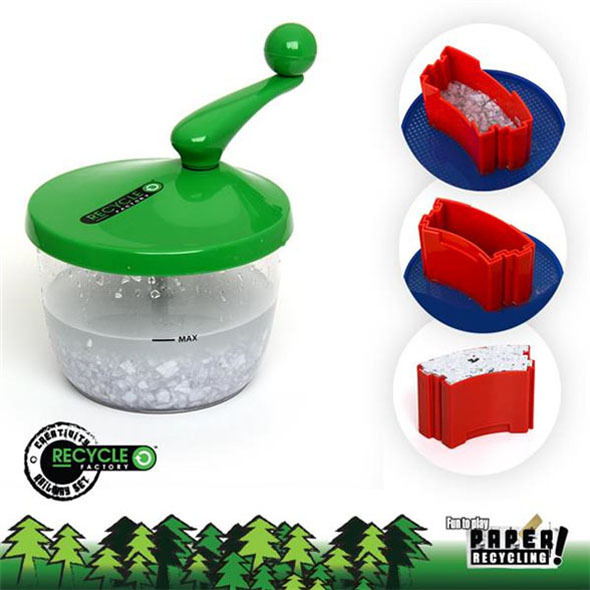 Use the blending bowl and the moulds to turn unwanted scrap paper into railway pieces for your little steam train! 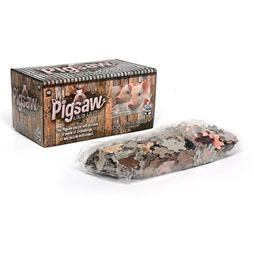 We even provide an array of pop-out accessories for you to decorate the railway with! We give you the train - you make the railway track yourself! The perfect gift for railway lovers! 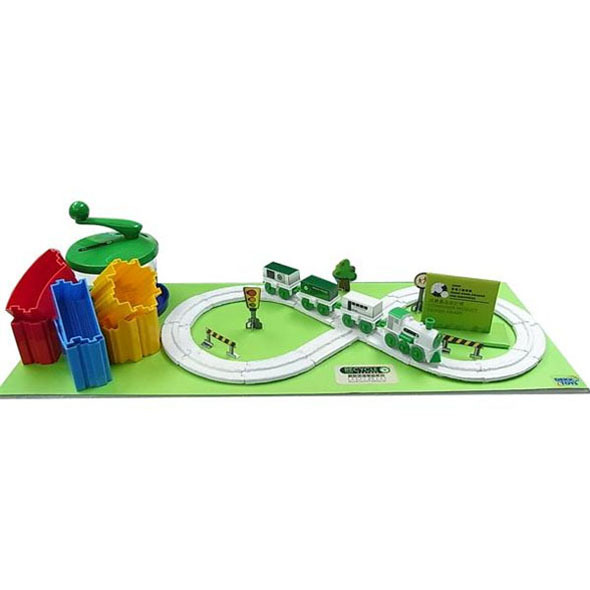 This is the Recycle Factory Railway Set, an eco-friendly toy that uses recycling to further the fun! Use the paper blending kit to produce your very own train track, turning unwanted scrap paper into the railway that your toy train runs on. Simply put your torn-up paper into the blender with a little water, turn the handle to blend it up, and pour the resulting mush into one of the three train track moulds. There are moulds for straight, curved and intersection pieces, so you can design your perfect railway and make the pieces you need for it! Includes three carriages for the train and a sheet of pop-out accessories, such as trees and signs, to decorate your track with. Requires 1 x AA battery (not included).